Chrysler has reversed its refusal to recall nearly three million Jeep products after weeks of negative press coverage. Early this month, Chrysler refused an NHTSA request to issue a recall on 2.7 million Jeep products. In a new press release, the company has reversed that decision and is now issuing a recall on those Jeeps. "Chrysler Group’s analysis of the data confirms that these vehicles are not defective and are among the safest in the peer group. Nonetheless, Chrysler Group recognizes that this matter has raised concerns for its customers and wants to take further steps, in coordination with NHTSA, to provide additional measures to supplement the safety of its vehicles." It appears that the change on Chrysler's part is mainly due to PR pressure. 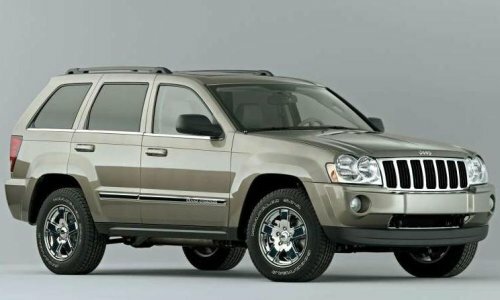 Following Chrysler's short press release refusing to issue a recall on the Jeeps, many negative press accounts created a flurry of bad press for the company. So Chrysler seems to be attempting damage control with an issue for a recall as requested. The negotiation with the NHTSA, though, allows Chrysler to recall the Jeeps in question for evaluation rather than actual retrofit or repair. This can be taken as a concession on the NHTSA's part to the assertions from Chrysler that their data shows that the problems cited in the NHTSA report happen only very, very rarely. As we pointed out in our initial report on Chrysler's refusal to recall: Chrysler (rightly) points out that the failure rate of the fuel lines in the incidents that prompted the investigation are commensurate with similar vehicles at about once every four million years of vehicle operation. We will see how this pans out for Chrysler, but it doesn't look promising.